Disney's live-action remake of Mulan is finally starting to take shape. 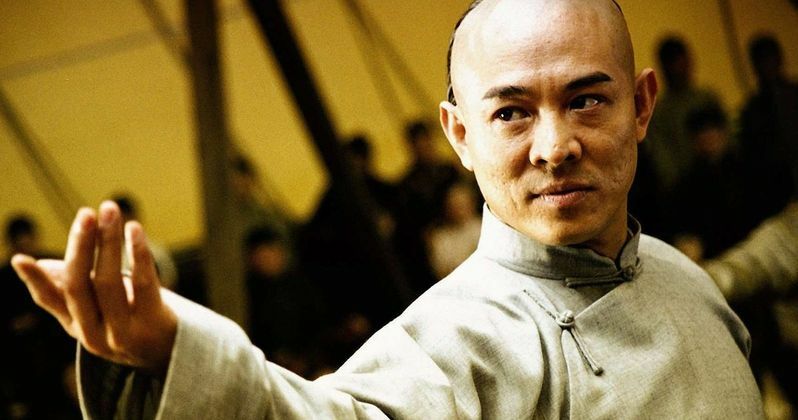 The movie will shoot this summer in New Zealand and China, while Jet Li and Gong Li have officially both joined Donnie Yen and Liu Yifei in the casting of the remake. It was announced earlier today that Yen will be portraying Commander Tung and it's been known for a while that Yifei will play the titular role. The new casting announcements come after it was revealed that Disney is pushing the movie back until 2020. Jet Li is reportedly set to play the Emperor of China in this Disney live-action remake of Mulan. Pat Morita voiced the character in the original version of the movie. The Emperor orders the mobilization of troops through compulsory enrollment in the military, making one male from each household join to go fight. In the story, Mulan disguises herself as a man to keep her elderly father from having to go fight. Her father, Fa Zhou, is the only male in the family and has already served in the military. Gong Li has been confirmed as the main villain in the live-action remake of Mulan, who is said to be, "a powerful witch." The villain will be pretty different from the original animated movie, who was Shan Yu, leader of the invading Huns. Chinese-Vietnamese actress Xana Tang has joined the cast as Mulan's sister, which is another new change to the story for the live-action remake of Mulan. There originally was not a sister in the animated version of the film. Already, there are going to be some pretty big departures from the source material. News of the delay of the live-action remake of Mulan was first reported earlier last month, but an announcement was imminent since the release date was fast approaching without news of a production start. However, to push the film back nearly 2 years was a bit of shock and many believe that it is due to the pretty intense Marvel Cinematic Universe release schedule over the next 2 years. So, the new casting announcements should make fans who have been anxiously awaiting news pretty happy, even though it looks like there will be some pretty major changes. Along with the villain change, an addition of a sister, and male mentor, the live-action Mulan remake might not have any musical numbers as well. This has not been officially announced, but it has been hinted at by director Niki Caro over the last several months. Even with all of the changes, the casting of Donnie Yen, Jet Li, and Gong Li is pretty massive news that will add an impressive amount of action credential to the live-action remake of Disney's Mulan. The new official release date for the movie is March 27th, 2020. You can check out the original report about the new castings for Mulan over at The Hollywood Reporter.